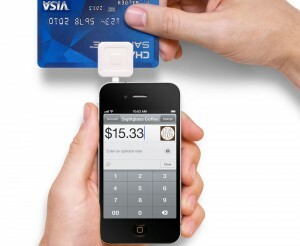 Credit Cards to Be Replaced By Smart Phones? Financial experts warn that credit card debt could be the greatest risk to consumers’ chances of paying their mortgages off. Credit card interest hovers around 20% and erodes funds that could be used to make extra payments on your home loan. By not paying your credit card balance off in full every month card holders pay unnecessarily high interest and effectively waste money that could be put to better use by making extra payments on the mortgage. Experts recommend card holders who have started the year with existing credit card should prioritise a repayment plan for this year and focus on settling their balances. Interest rates on credit cards are more than three times higher than the rates for a home loan. Credit card interest averages out at 20%, while mortgages are only levying an additional 6%. For every $1 you spend on your credit card you have three times more buying power if you spent it on your mortgage, highlighting the importance of knowing what rates you are being charged and thinking about the extra money you are forking out over the long term. Card holders who have significant debt, including on a credit card, are urged to get assistance from a financial advisor so they can consolidate it and pay it off. For the year ahead, card holders are encouraged to look into new providers right after they settle their full balance. Balances should be covered every month, and users are advised to restrict or stop spending on their cards and to pay any extra into their mortgages. If credit card truly were a fashion then we have to wonder how the “spending” landscape is going to change when smart phones usurp the credit card from the retail space. It appears as though the credit card could soon become a phenomenon of the past as telecommunication companies pursue the concept of using smartphones and tablets to pay for purchases. And if the public’s love affair with mobile technology is anything to go by retailers could see an uptick in sales. The banks themselves are even falling into line, making everything far more mobile friendly, such as the Bankwest credit cards site, which allows both signup and account management through mobile friendly portals. The idea is nothing new and has been around since the concept of smart phone technology was invented. The development of the idea has been delayed because there aren’t that many phones that have the NCF (near field communication) chips to enable tap and go payments to become possible. The technology would enable customers to scan their phones across a sensor to pay for in-store purchases. The user would need to link their bank account to their handset and the transaction would be deducted immediately. Two leading telecommunications companies forecast that the tap and go payments would penetrate the market during 2013 as the number of phones with the necessary capabilities will have increased to warrant new systems being experimented with. While the new system would need the buy-in from retailers and customers analysts say that retailers will let customers take the lead and would ultimately determine when the timing would be most appropriate. While smart and tablet phones certainly have struck a chord with the Australian public it took a while for them to penetrate the market and the new tap and go system could take a while for consumers to get used to and start feeling comfortable with. Woolworths and Coles have both been reported to have implemented the new system already and more retailers are expected to follow suit. Vodafone claims that 80% of its handsets will have the new NFC technology during 2013, opening up the market to the possibilities of the new technology. Vodafone will be launching a SmartPass app, which was developed in conjunction with Visa, through which to coordinate the new phone payments in the coming months and only time will tell how popular the new method will be.